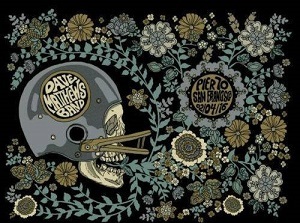 Original concert poster for the Dave Matthews Band concert at Pier 70 in San Francisco during Super Bowl week. This is a limited edition concert poster designed by Methane Studios. It measures 18" x 24". Official Dave Matthews Band merchandise.